What you see is not always what you get. If you are currently hiding an old dresser, chair, or table in the corner, you have a number of options. With our furniture stripping service in Scottsdale, AZ, you will be able to unveil the hidden beauty of any of your classic pieces. At R & R Restoration, our team provides a series of services for clients throughout the region. Our furniture stripping is available for all wooden pieces, including doors and coffee tables. Visit us today to showcase a stunning piece in any room of your home. Did you recently find a dresser or table at a local garage sale, or inherit a piece from a relative? Underneath the cracked and blistered paint could be a hidden gem. To uncover the true beauty of these classic pieces, you have to remove the layers of paint and other materials. Our furniture stripping services give you an easy way to eliminate existing coatings to unveil the natural beauty of your wooden items. As a local leader in furniture stripping, our company is proud to be your source for top services for every item in your home. By using our furniture stripping service, it will be easier than ever for you to enjoy the classic look of wood without spending your valuable weekends doing the job yourself. 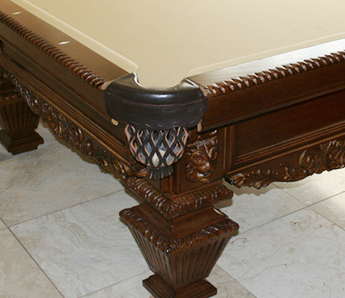 We take great pride in providing personalized furniture refinishing services to meet each of your specific needs. Don't trust your classic items to an amateur. Backed by more than 20 years of experience in the industry, our furniture stripping professionals have the expertise you need to get the job done right. During your services, you can trust that we will take care of your items throughout every phase of the job. With our furniture stripping services, you can trust that your valuable pieces will come out more beautiful than ever before. Contact us to use our furniture stripping service for each of your classic pieces. We proudly offer furniture stripping for clients throughout Phoenix, Glendale, Peoria, Mesa, and Scottsdale, Arizona.